You may know about Factory Reset Protection (FRP). So here is the best solution about FRP which can be done by following simple steps and without using any flash box or tool. If you are wondering about how to remove FRP lock on any Android Smartphones then this topic will help you regarding that. There are so many mobile flashing box available to remove FRP, but they are costly and not easy to use for non technical users, but here is the tutorial with a which you can easily remove FRP without using any kind of software box, only you need to follow some tricks which is given below. How to remove FRP on Android Devices? The FRP unlock process or method is different from device to device, so you need to follow one by one methods to solve FRP lock. 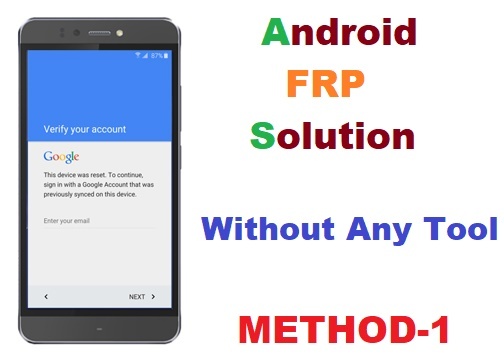 Actually there are so many method can be followed to do FRP unlock, but there are some useful methods, which we will describe one by one and here is the method 1. This method to remove FRP lock on Android devices can help to get over FRP problem on many brands i.e. ASUS, MOTOROLA, MICROMAX, KARBONN, OPPO, VIVO, SAMSUNG, HTC, SPICE, LAVA, XOLO, YUPHORIA, ALCATEL, INTEX, LENOVO and LETV etc. but not all the models may not support this process METHOD-1, So you need to try another process or Method to solve the FRP lock problem. Here is the METHOD-1 you can try on any devices mentioned above and put your valuable comments, and if you like the post just share on Facebook, Tweeter and Google plus etc. 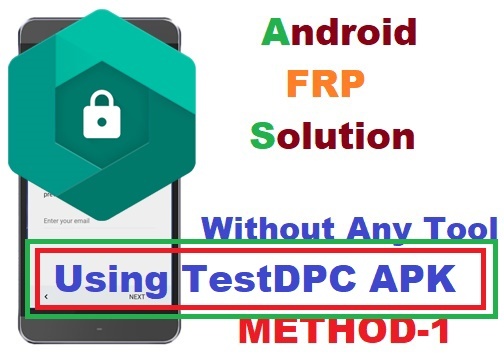 Here is the process to remove FRP lock without using any flashing box, what you need to do is just download a small Android application called TEST DPC, TEST DPC APK can be download by searching on Google or you can download from the link given at the end of the topic. 3- Now click on "set up managed profile" and click next or you can also try the second option "set up device owner". 4- In some device you need to do Encryption which need battery level should be 90% and some other devices, you need to install the app, after installation it will not ask to encrypt the device, then just press the power button once to lock the screen and press it again, now drag the screen from the top side and click settings and the do factory reset. 5- To factory reset the device you need to enable Developer Mode, then enable OEM unlock, then do the factory reset. TEST DPC can be download here and go for the apkmirror website, always download the latest version, some times old version will work fine on some Android mobile phones, so you need to try one by one. How to enable Developer Mode on Android? How to install application on a locked Android Smartphone?